In today’s world, it is harder to grab audience’s attention and come up with content that not just brings in more attention but allows for genuine engagement. 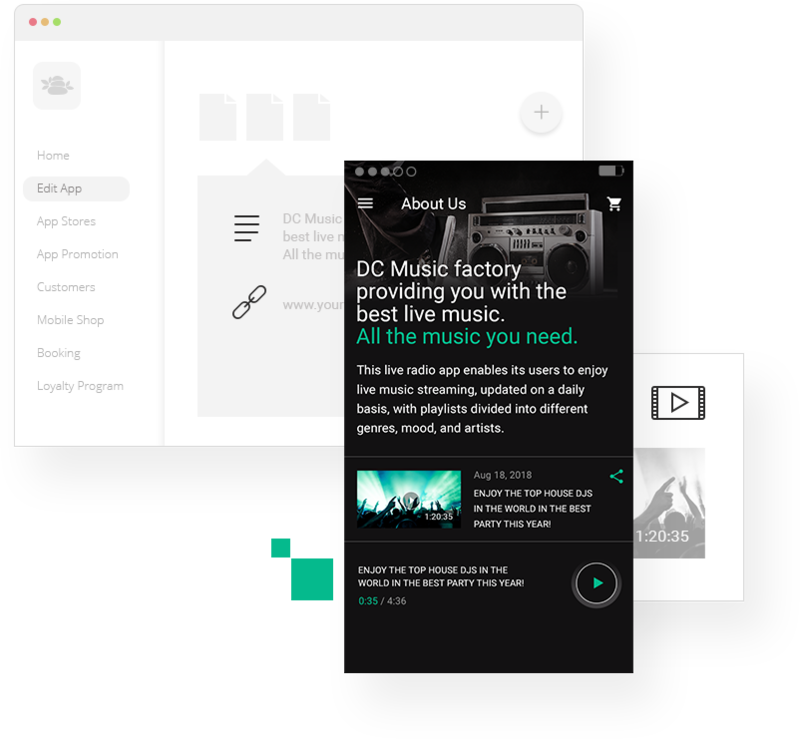 Stay in touch with your audience by creating a content app for your blog, magazine, radio station or live music channel. Add audio and video playlists, favorite TV channels and link radio or live streaming sources. bobile Apps enable you to keep your app fresh and relevant for genuine engagement. Backed by a unique patented technology, bobile provides a fast and easy-to-use platform to create your app with the fraction of the costs and efforts. All you need to do is register to the free trial, fill a few fields, add a few images, download bobile’s App Admin, and you’ve got your own content app.